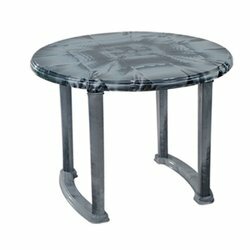 Our exclusive range of plastic tables are specially designed to compliment any interior. These products are made from rugged high-quality PP plastics and hence are long lasting and easy to maintain. Designed to perfection, our plastic trolley can be used to add an extra storage space while our plastic tables have great utility. Apart from being used at homes these dining tables can be used for corporate dining rooms, training centers, restaurants, cafeterias, gardens and educational environments. Available in variety of attractive designs and colors, our range of plastic trolley and tables are surprisingly economical. 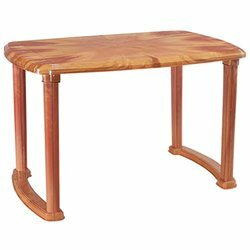 This rectangular, brown colored polypropylene moulded table is very useful in many ways. Add some chairs and it can be used as a dining table or make it a study table. 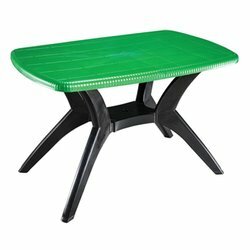 This polypropylene moulded plastic table is one of the bestsellers of Swagath. 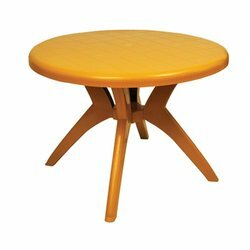 The stylish, sleek and colorful table has firm legs that help to stack it easily and carry around wherever you want, as it suits in any kind of environment. 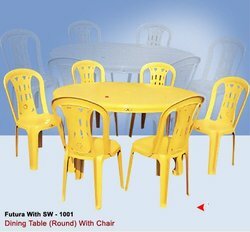 Available under Fantasy brand, Round Dining Table & Chair offered feature elegant color and design support and come built from 100% virgin polypropylene molded plastic. Providing for a nice and comfortable setting in any place, it is available in dimensions of 730mm (h) and 1000mm in diameter. Beautifully designed, its durable finish and use of eco-friendly plastic also make it preferred the choice of customers. Further, its superior finish will not fade over time, thus making it easy to maintain. Available in a choice of color options to pick from, these are also UV stabilized that helps in maintaining the shine of colors for a long time. 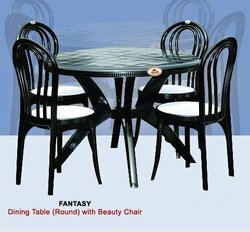 Available under Fantasy brand, Round Dining Table with Luxury Chair is of superior polymer quality that ensures plastic will not warp, crack, splinter, or support bacterial growth. Available in UV-stabilized colors, which eliminates the need for painting, staining these are extremely easy to clean and maintain. These tables and chairs are available in a variety of classic colors and provide perfect coordination with the present furniture. Crafted from environmentally friendly plastic, these are perfect for kitchen or dining area and come in eye-catching, modern designs. Flair has a very elegant color and design. It is built from the 100% virgin polypropylene moulded plastic. You can set it nicely in any place. This is also stackable, moveable and serves many purposes. Futura is the basic structure and design from the range of high quality 100% virgin polypropylene moulded plastic tables. It guarantees longetivity and is easy to use in every possible indoor and outdoor purpose. 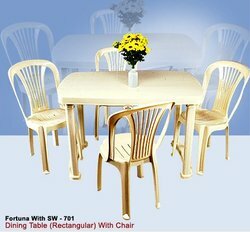 We are leading supplier of Plastic Rectangular Dining Table. Available under Futura brand, Round Dining Table with Armless Chair is smooth finished that allows comfortable seating for four people. 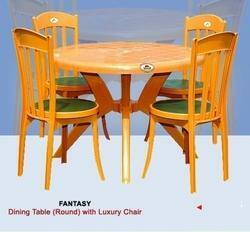 Available in superior styling standards, these are suitable for furnishing needs of the dining room. With our expertise in offering right design at the right price, the offered collection combines modern functionality and superior resistance to all types of weather conditions. Its eye-catching, modern design also comes with reduced fading chances. Available in contemporary designs, these are the perfect solution for restaurants and homes. The name itself speaks a lot about the table. The oval-shaped stylish table is rare to find. 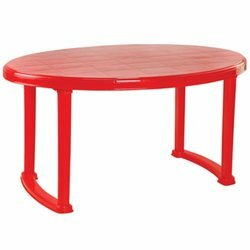 With typical features of easy to stack and durability, this polypropylene moulded table can add extra sparks to your living room. 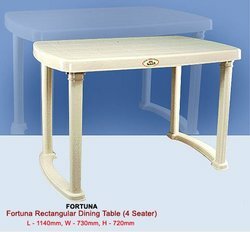 We are leading supplier of White Rectangular Dining Table.